Check out our video page for Robert's free video tips on improving your game plus the importance of conditioning. Rob Hannah has been a PGA of Canada member for over 25 years and a full time Teaching Professional for the past fifteen years. He has helped thousands of golfers prioritize the key technical skills that lead to improvement. As with many sports, technology is changing the feedback information received by participants. It is more important than ever to have a coach to clear up misconceptions, and provide clear instruction and guidance utilizing a proven teaching style. Rob has added a new dimension to his teaching with the Foresight Sports GC2 Launch Monitor. As well, the 3D motion analysis system, and Hudl Technique video analysis tool assist icreating awareness of swing tendencies and enhance learning. While new technologies assist in the learning process it is vital that the coach has the ability to evaluate the many components that contribute to a golfer’s performance level such as fitness, short game skills, and practice strategies. 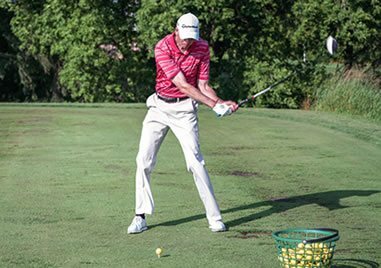 Rob continues to study the many factors that contribute to a golfer’s improvement and in the process has become a Titleist Performance Institute Certified Golf Fitness Instructor. Develop your game under the guidance of a Professional with the background and experience required to assist with all facets of the game. Loss of interest and frustration over a period of ten years caused me to take a long look at the game of golf which had held a real passion for me for most of my life.